Partner Directory / Descendants Beer & Beverage Co.
Descendants Beer & Beverage Co. opened its doors in 2014 on Victoria Street, near downtown Kitchener. They have three core beers (affectionately referred to as the three amingos), available in all formats (cans, bottles, growlers, and kegs). Their first was Harbinger APA, then came Reynard the Fox Gold Rye Ale, and lastly, El Buscador Cerveza. 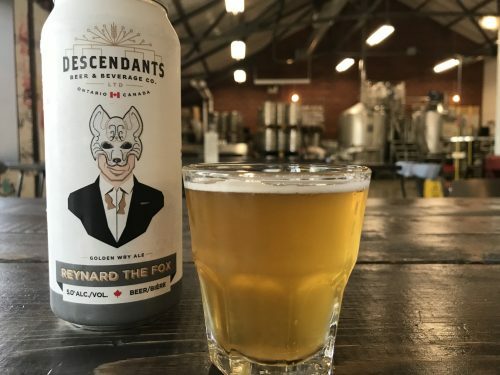 In addition to their staple items, which are available at the LCBO and some grocery stores, Descendants produces a variety of seasonal and one-off beers. A visit to their bottle shop or on line store is the best way to find out what’s new! In addition to a variety of beers, Descendants also has a traditional European-style bierhalle, which has a full bar, eatery, and retail shop where you can purchase cans, bottles, growlers, or merchandise. Their long dining tables offer a friendly space to share with friends or the community while taking in the atmosphere and a cold pint. 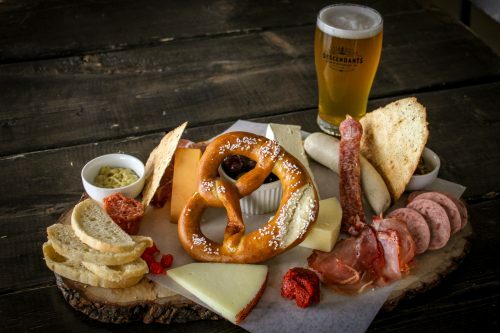 Their food items include bierhalle snacks, such as kettle chips, pickled eggs, beef sticks, and soft German pretzels. They also offer meat and cheese charcuterie boards that are perfect for sharing, a hummus board, and a variety of paninis with kettle chips, pickled beets, or potato salad. Vegetarian options are also available. If you are looking for a unique venue to host an event, their location is offered as a private function space with a capacity of 135 people; or host up to 80 guests in Descendants’ semi-private space. There’s always something fun happening at Descendants! Including Trivia Tuesdays and Music Bingo Thursdays, family events and live performances, check Descendants event calendar to find out what’s coming up next. 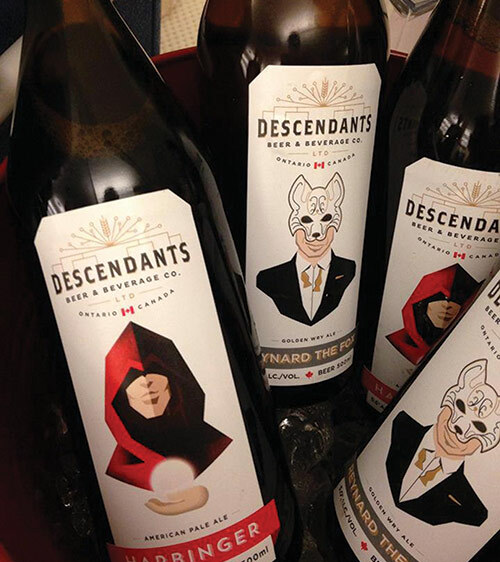 Descendants Beer & Beverage Co. is in order for every Ontario craft beer lover! 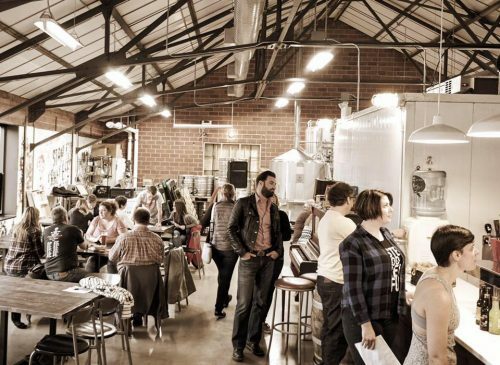 Descendants also owns Bitte Schön Brauhaus in New Hamburg, which offers small batch craft beer, a retail store, a selection of food items, and brewery tours. Waterloo Central Railway provides a wedding venue that’s as unique as you are. Excitement, romance, and celebration await as couples say “I do” aboard one of Waterloo Central Railway’s historic locomotives.